Welcome to my new monthly column “Cravings” where I’ll be sharing the current foods and flavors that I’m craving. Congratulations, everyone! You have (mostly) survived February! February, the shortest, but longest month of the year is almost over and now we can really get to thinking about spring. Of course, spring is a bit mischievous. She’ll show up only when she wants and sometimes only for a few fleeting moments, but I’ll take whatever bits I can get from her. The one redeeming quality of February? It heralds the beginning of citrus season. Just when you think you’re turning into a dried-out husk of your summer self citrus (real, in season, citrus!) begins showing up in stores. Let’s start things off with breakfast. 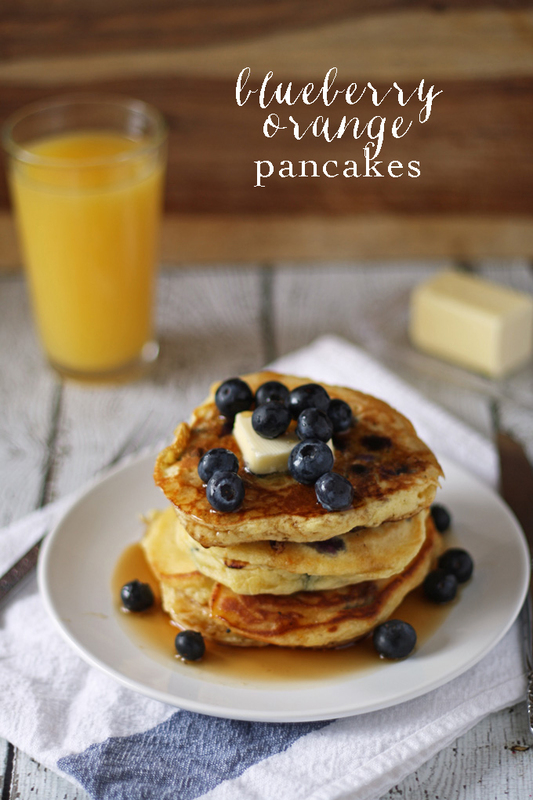 These Blueberry-Orange Pancakes from Jenny of Honey & Birch are fluffy, light, and full of fresh fruit flavor. Blueberry Orange Pancakes from Jenny of Honey and Birch. 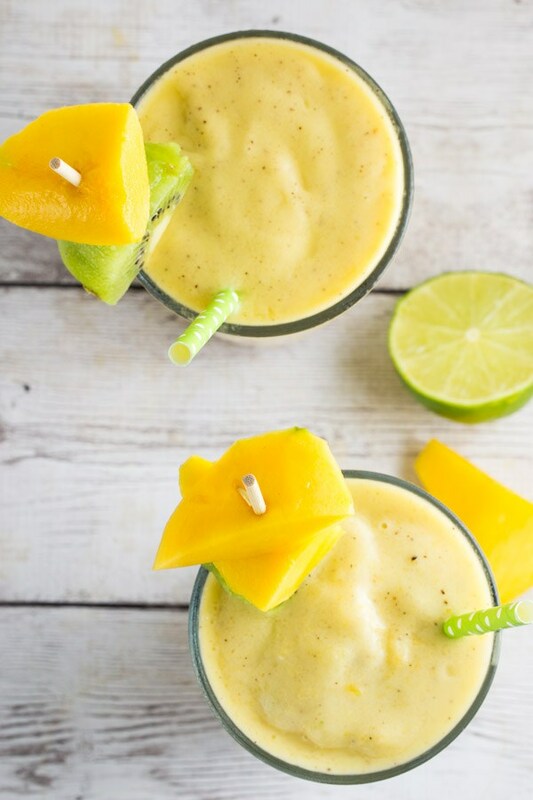 Then, our mid-morning snack: this Kiwi Mango Lime Smoothie from “Veggie Chick” Christin. I had no idea coconut milk ice cream was a thing, but now I’ve got to check it out! Kiwi Mano Lime Smoothie from Christin of The Veggie Chick. 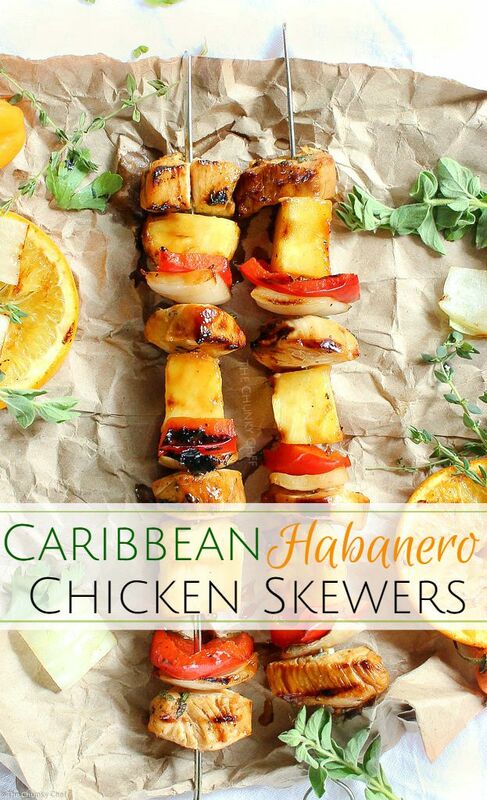 Lunch has to be these gorgeous Caribbean Habanero Chicken Skewers from Amanda of the Chunky Chef. Is there anything that says “spring” more than busting out the grill for the first time? Too bad we’re going back to winter weather this week or I’d be prepping the grill (and some of you heartier folks may be prepping already!). Cocktail hour is brought to you by Lexi, who writes over at Lexi Bites. This Jameson Ginger Smash speaks to every nerve in my body. If you know me, you know I love both whiskey and ginger. 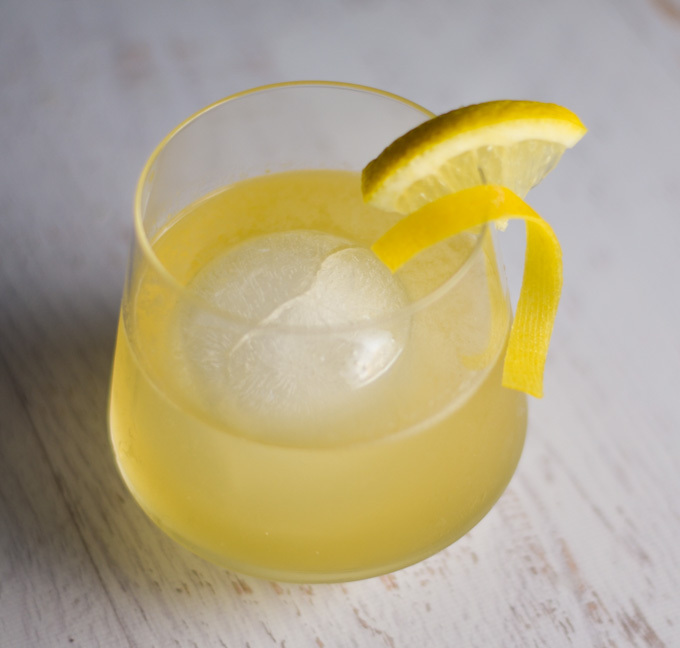 Tart those two up with some lemon juice and you’ve got a delightful, slightly bracing cocktail to shake off the day. Jameson-Ginger Smash from Lexi of Lexi Bites. Dinner has to be this Greek Lemon Chicken with Roasted Potatoes. Marissa, of OMG FOOD is becoming my go-to source for Greek food. 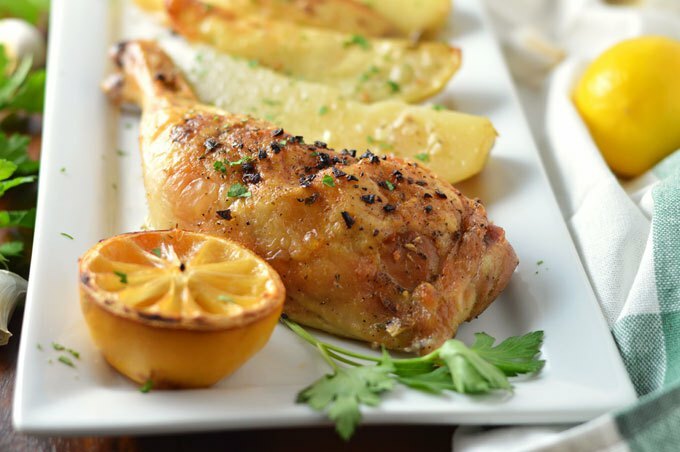 Greek Lemon Chicken with Potatoes from Marissa of OMG FOOD. To finish off our day of citrus is this light, sweet, and tart dessert from Foodie Girl Chicago. 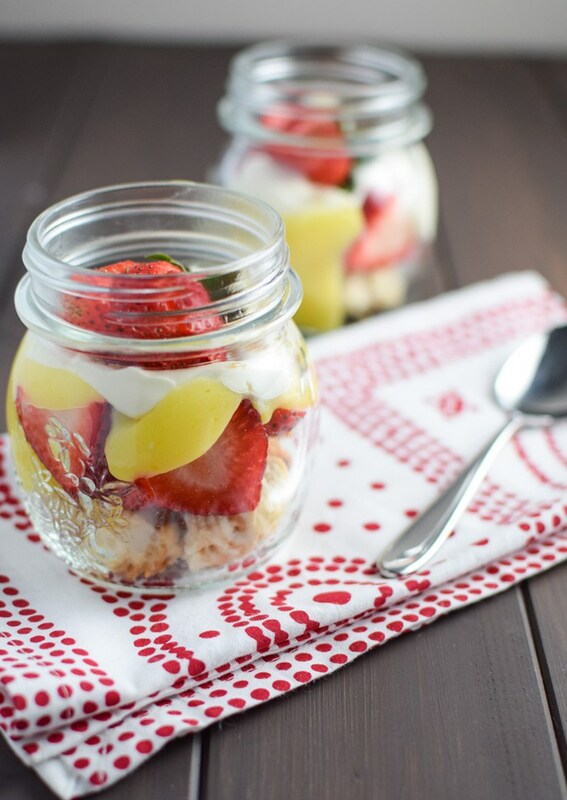 Kathryn created a dessert that combines fresh shortcake, sweet strawberries, and luscious lemon curd. Her Strawberry Shortcake with Lemon Curd is stunning. I think that’s enough citrus to get me through to summer, but I’m always open to suggestions. What are you craving right now? Let me know in the comments!